 Porters Barbers offers a full-service of grooming and style packages for the gentlemen of the town. Our top of the range hair cutting service in London uses equipment that blends technology with the premium aesthetics of the golden days of British barbershops. This service begins with a pre-cut consultation. Our expert barbers will talk to you about your options and put forward their suggestions. Afterwards, a scalp massage prepares you for the cut. After the cut, finishing touches refine the work before your new haircut is styled to perfection. Similar to the service above, this package includes a wash and condition just before the haircut. Using potent products, this prepares your hair and scalp for the haircut through cleaning and moisturising. The crew cut is a classic haircut for men, tracing its roots back to the 1800s. Unashamedly masculine, it is a style that is never out of style. The service includes a pre-cut consultation, a massage, the haircut, finishing touches are applied by scissors. In this option, luxurious shampoo and conditioner formulated especially for men’s hair are applied. They will remove excess sebum and dirt from the scalp before deeply moisturising it. Services such as shaving and beard trims are available for our adult customers. However, at Porters Barbers, we can accommodate younger clients too. Kids 11 years old and below can enjoy of our special packages that include pre-cut consultations, cut, finish, style and optional washing. Porters Barbers accepts walk in clients as well as appointments at all our locations. For those who want to bring the premium barbershop experience home, grooming products along with vouchers are also available from our barbershops.